This morning, December 28, 2017, the City received notice from Caltrans bridge inspection staff that the existing Southern Heights Bridge should be closed effective immediately due to structural safety concerns. As a result, we’ve closed the bridge and installed detour signage. The City is currently working with a bridge consultant to design a new concrete bridge and obtain environmental clearance to replace the existing bridge. 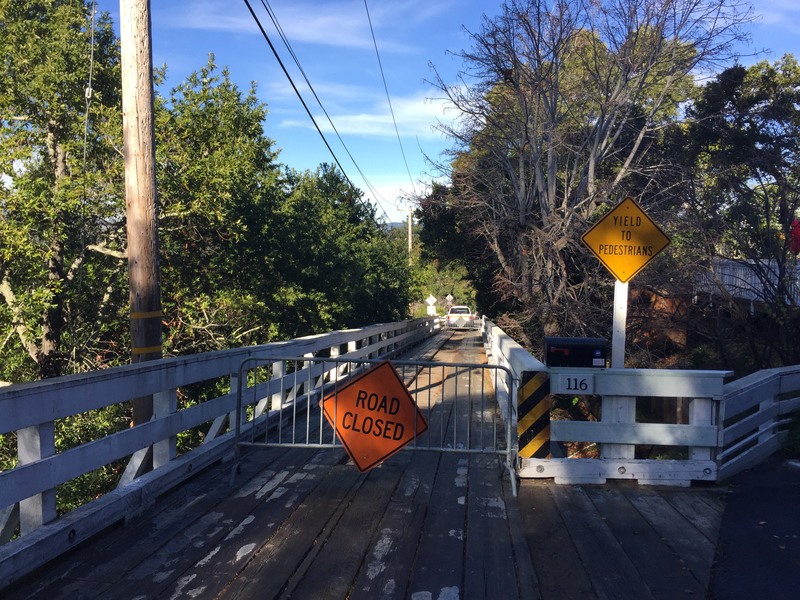 Caltrans and the City’s design team are determining the appropriate next steps, including if the existing bridge can be temporarily retrofitted to allow for safe travel. Until the bridge is opened to the public, it will be closed to pedestrians, bicyclists, and vehicular traffic. Follow #SHBupdates on Twitter for updates.